Hot Off the Press this week: Stolen Body Records in the UK delivers a brand new compilation entitled Vegetarian Meat, Fayetteville, AR quintet SW/MM/NG drop their new LP Feel Not Bad (Old Flame Records), Boston-based duo FAT CREEPS have a new LP Must Be Nice (Sophomore Lounge), and BUFFALO TOOTH from San Francisco releases their debut album Gardeners of the Devil’s Lettuce (Captcha Records). 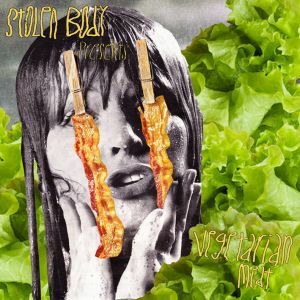 Various Artists: Vegetarian Meat Complation: Stolen Body Records has put together a compilation of bands from the UK, France and USA and they’re calling it Vegetarian Meat. It’s the first in what the label hopes to be a long line of compilation records, coming on blue vinyl with red splatter. 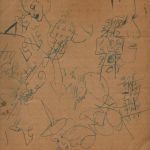 Tracklisting boasts a killer list of bands including Dusty Mush, Travel Check, Heaters, Taos Humm, Pain Dimension, Factotum, and Os Noctàmbulos (with a mix of tracks that may or may not appear on previous releases). Originally planned as a Record Store Day 2014 release, the album never made it to the plant in time, but it’s day has finally come – buy the album directly from Stolen Body Records on September 8th. Sophomore Lounge Records is dropping a new LP from Fat Creeps. Must Be Nice is loaded with 10 tracks that are ripe with jarring guitars, bright, breathy vocals and crashing rhythms. Streaming above, “He Comes in Loudly” is an obvious highlight. It’s bursting with a variety of elements, including glowing guitar waves, pleasant vocal interplay and wonky bass lines. They create a driving and angular sound in one effortless shot, providing us with a truly infectious song that’s reminiscent of Grass Widow or Warpaint. You can get the LP from Sophomore Lounge now. Released by Captcha Records in California, Gardeners of the Devil’s Lettuce is the debut LP from San Francisco trio Buffalo Tooth. The LP comes limited to 500 pieces on black and white splatter vinyl, containing a hot mess of speedy, metal-tinged punk and 70’s-flavored rock fueled by relentless fuzz guitars. Grab the LP from Captcha on September 30th as long as your heart can take it! Released on August 26th, SW/MM/NG drop their debut LP Feel Not Bad on Old Flame Records. It’s loaded with nine tracks of jangly guitar pop, led by the bright crooning of Brian Kupillas. “Younger” comes with some surf-y tones, not to mention the pleasant vibe of a sun-drenched beach day. You can listen to a full stream of the LP right here, then snag the vinyl on the 26th. Hot Off the Press this week: Washington state grunge-punk trio NAOMI PUNK have just announced their sophomore LP Television Man (Captured Tracks), HONEY RADAR has a new cassette full of lo-fi psych-pop entitled Chain Smoking on Easter (Third Uncle/ Treetop Sorbet Records), DUMB DOCTORS drop their second digital single Psychosys (Academia Tapes) and last but not least, a new cassette tape from Oakland-based fuzz-rockers BICYCLE DAY (Lollipop Records). NAOMI PUNK – Television Man LP: After dropping one of our most recommended albums of 2012, this grungy trio returns with their first for Captured Tracks. They pick up right where they left us on The Feeling, continuing their slowcore aesthetic and dirgy, funeral-march execution that is unlike anything else out there. This record is meant to be played loud (and the band reminds you of that every chance they get), so crank that knob and let these songs corrode your ears to dust. 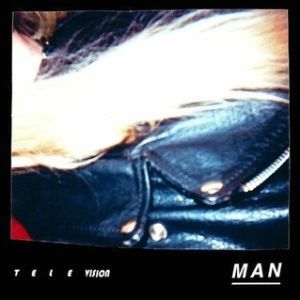 There’s a few more twists and turns up their sleeves this time around, and the end result is positively crushing – listen to “Television Man” now. Honey Radar is the moniker of Jason Henn, a bedroom recording project based in Richmond, Indiana. 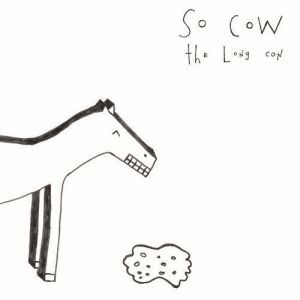 Chain Smoking on Easter is a collection of guitar-driven psychedelic-pop songs, arranged with a healthy dose of melodic guitar racket to keep you cringing happily. Songs are perpetually glinting through this blown-out layer of noise, unfolding in these short, 1-3 minutes bursts that are short but sweet. The album is a split release from Indianapolis label Third Uncle and Philadelphia label Treetop Sorbet Recordings, who are releasing the album on vinyl and cassette respectively on August 26th. Released by Academia Tapes in Charleston, SC, Psychosys is the follow up to Dumb Doctors debut cassingle from 2013. 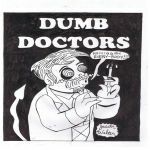 Dumb Doctors is the brainchild of Scott Dence, and his two latest fuzz-fueled anthems should lead to a full-length LP before the end of the year. The band is called Bicycle Day and the opening track on their upcoming cassette is called “Righteous Acid.” Do you need any other hints? 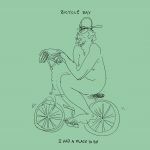 Released by Lollipop Records, I Had a Place To Be is the debut release of any sort from the California-based trio. Their sound combines surf, garage and punk, built with reverb-heavy vocals and a menacingly hazy atmosphere. The material was recorded at Thee Mens Warehouse, a collective studio and art-based space in Anaheim, CA. Hear some of the album below, and sit tight for the tape release sometime this month! -‘Hot Off the Press’ is going to be our way of telling you about the best and newest vinyl records around. When a label or a band releases a new record and we think you should know, we’ll do our job to keep you posted on when the records are available to buy/preorder. This way you can avoid missing out on your favorite record because it sold out and gives you a better chance to score any limited color vinyl that might be available. Since you all love vinyl as much as we do, it’s a fun way to keep us surrounded by what we love most. -If you’re a touring band and looking to set up a show in Philadelphia, our friends at Phonographic Arts can always help you find what you are looking for. 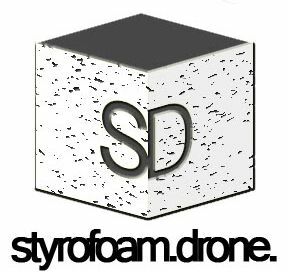 Either get in touch with them directly or we can help you! -SXSW plans? If we knew how to set something up we would. Philadelphia band showcase? See you there? -Unrelated to anything here: NHL hockey is back. We’re psyched! That’s all for today, but hopefully this gets you ready for the upcoming year. Let us know what you think about these new ideas in the comments below! Any feedback would be great!